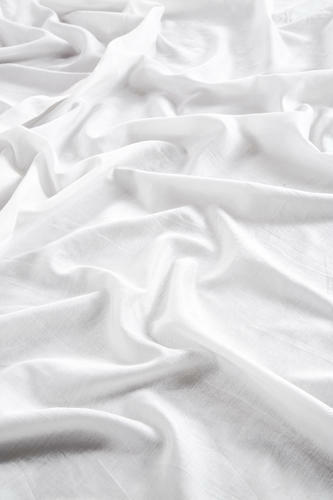 Fabric's feel, Fall and touch, Light and flowy, Silky smooth. Pure Tabby Satin Dyeing Fabric/Pure Tabby Ready For Dyeing Fabric cupro fiber from Asahi Kasei, a precious material made with Japanese smart science from a nature-based resource. Composition : 100 % Asahi Bemberg (Cupro). Established in the year 1987, GBM Fabrics took up its first step in the apparel industry and within a short span, we have attained remarkable success as a Manufacturer, Wholesaler, and Exporter of Dyeing Fabric, Digital Printed Fabric, Dyed Fabric, Designer Kurtis and Salwar Suit etc. We bring a gorgeous genius of dresses that possesses commendable characteristics of ethnicity and style. In tune with customer's different choices, we provide our range in various stipulations. We have introduced modern weaving, stitching and designing machines in our production unit to ensure a hassle-free production process. Along with the production unit, we are also empowered with various units like quality assurance unit, research, and development unit, warehouse and packaging. All the units are managed by qualified skilled professionals having in-depth knowledge about their specific domain. In addition to this, our quality assurance unit follows stringent quality control policies in every stage of the production process. Being a customer-centric organization, our professionals work with instant dedications to ensure total customer satisfaction.